With beautiful coffee plantations that fill the air with their aroma and stunning greenery that is sure to charm anyone; Coorg is one of the best places in Karnataka for a weekend getaway. Filled with lush green plantations, glistening waterfalls, and colourful skies; Coorg is the perfect place to relax over a freshly brewed cup of coffee. Apart from all these, Coorg is also famous for its fantastic wildlife sanctuaries that unveil a different side of the place. 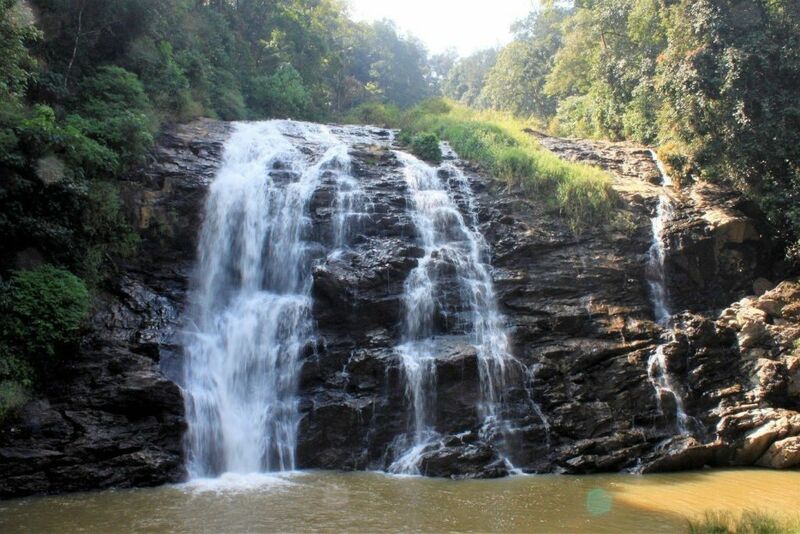 There are many places to visit in Coorg that will give you utmost relaxation and an escape from the robotic city life. Located amidst the coffee plantations and the spice estates, this ravishing set of falls is just the perfect spot to visit in Coorg. The waters of the stunning Kaveri River flow along this rockface turning into the most charming waterfalls you can witness in the place. The second highest peak in Karnataka, Tadiandamol is a haven for all the trekkers. Situated about 35 km away from the Madikeri town, this peak offers a challenging trek for all the adventure seekers. If you are looking forward to some amazing rafting activities, then Barapole River is the right place for you. This picturesque river offers a feast to your eyes as you steer your way through its smooth waters. 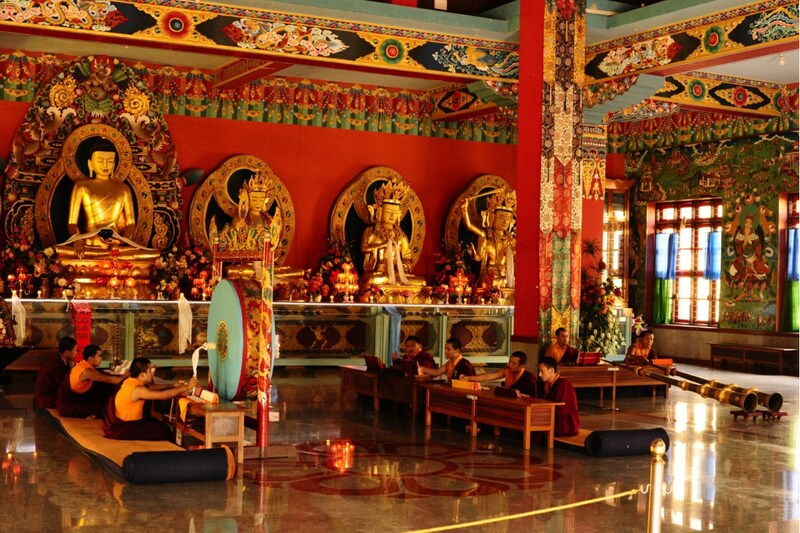 An abode for all the Buddhists, this stunning monastery should be on your list of places to visit in Coorg. Located in Bylakuppe, it has a fascinating architecture that should be well noted. Home to plenty elephants, this exciting camp on the outskirts of Madikeri will give you a deep insight into these massive creatures. Walk along a wonderful bloom of flowers featuring a wide range of vibrant colours. Apart from being a place of interest among the tourists, this place is also the perfect spot to get a glimpse of the beautiful sunset of Coorg. Standing tall in the Kodagu district, this place is the perfect destination for all the trekkers. With a medium trek that gives some spectacular views, it is one of the must-visit places in Coorg for the adventure seekers. 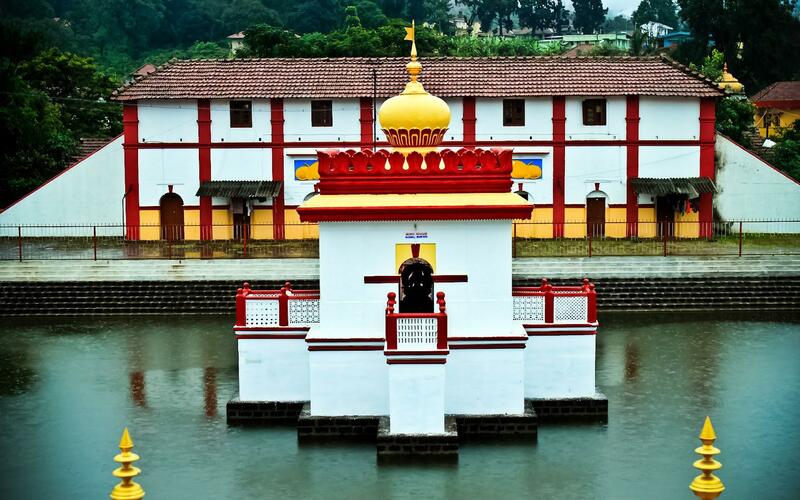 This site of pilgrimage in the district of Kodagu is a popular one among the tourists for its lake. It also offers some stunning panoramic views from the highest point of the hill Brahmagiri. Often known as the falls that were discovered by Lakshamana, they hold a special place in the Hindu history. 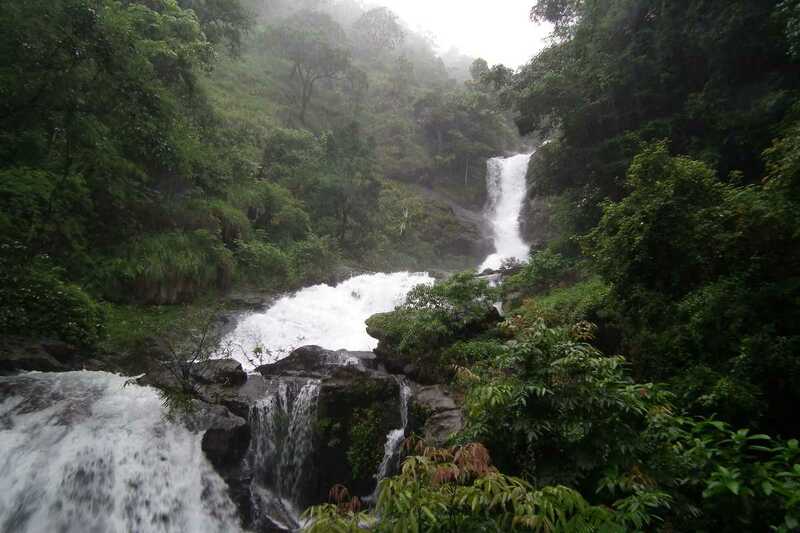 Falling from the glorious Brahmagiri Range, these falls are one of those places in Coorg that you must pay a visit. 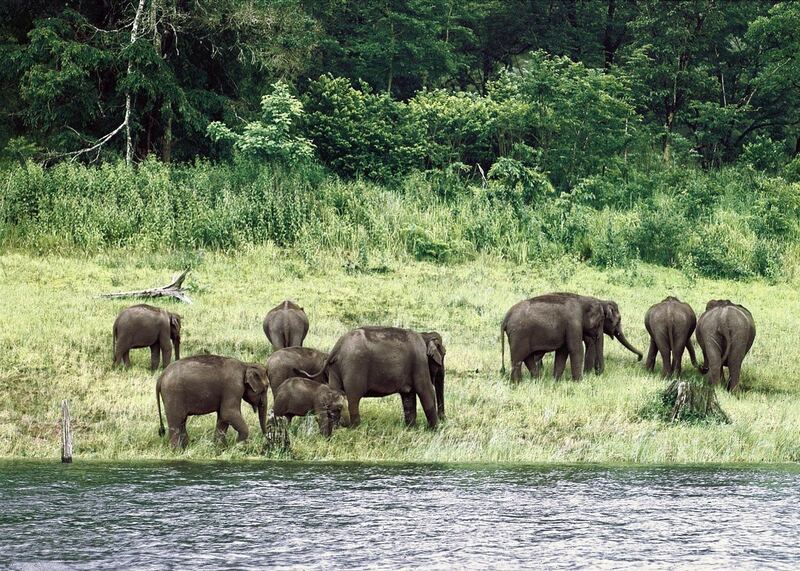 This stunning Tiger Reserve in Coorg is one of the places that you cannot miss. 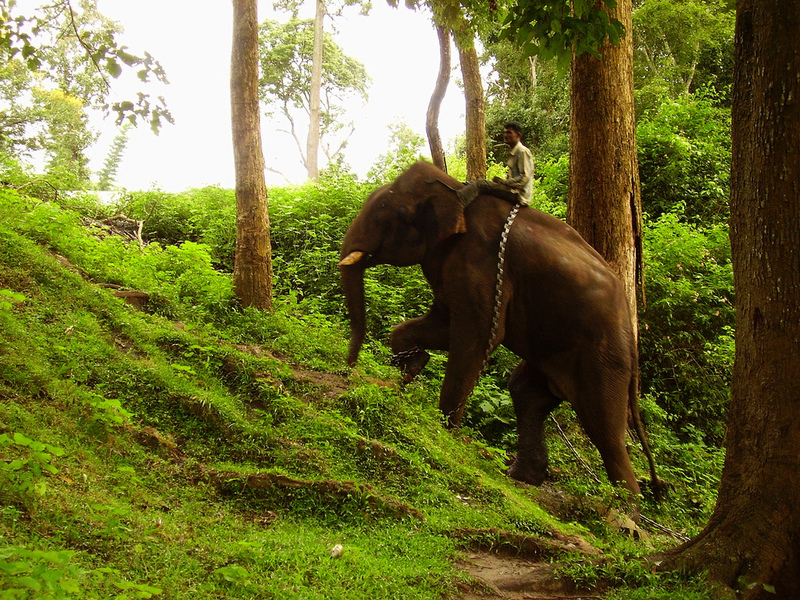 Ranging from wild elephants and tigers to wild dogs and deer; this place will give you a thrilling experience. Another dig for all the religious tourists in Coorg, this temple is dedicated to Lord Shiva. With Islamic and Gothic style architecture that is sure to turn your heads and stunning legend behind the construction, this place is interesting in its own way. 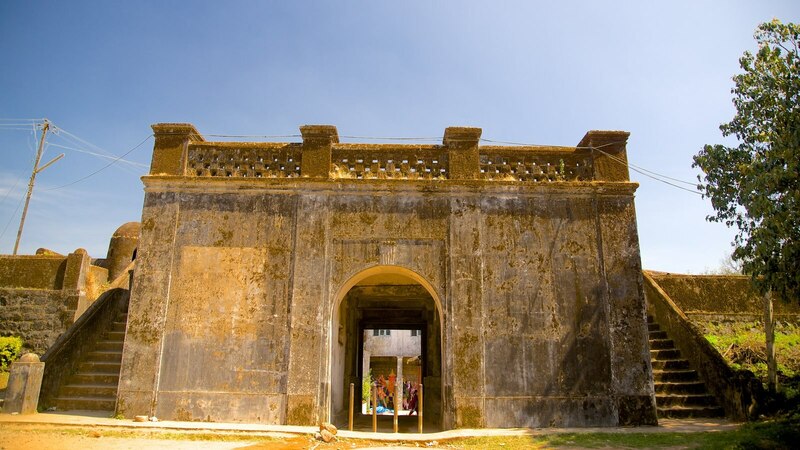 Originally incorporated by Tipu Sultan, this fort is one of the treasures of Madikeri. Situated on the top of a hill, it offers some stunning views of the area. If you are planning a quick weekend getaway to this place, make sure you check these places. All of these places are the most popular sites among all the tourists. However, make sure you carry your camera before visiting this beautiful town, as the sunsets here are bliss to witness!